Energy minister: there’s no difference between men and women on fracking – DRILL OR DROP? Speaking at a meeting in Westminster this afternoon, she said it was “completely extraordinary” to suggest women were less keen on fracking than men. The government needed to make the case for fracking to everyone, Mrs Leadsom said. If it couldn’t make the case then it didn’t deserve to get fracking through. 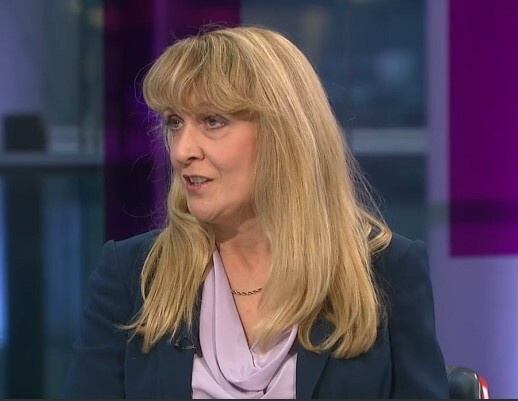 Her comments were in contrast to those made last week by the new chair of the industry group, UK Onshore Oil and Gas, Averil Macdonald. She told The Times that men were more likely to support fracking because they were persuaded by facts. Women, who were more concerned about threats to their family than men, relied on gut reaction and feel. The latest poll by Nottingham University suggests support for fracking among women stands at 31.5%, compared with 58% for men. “We’ve got to persuade, inform”…says the Minister who is stumped by a Balcombe resident questioning the proper definition of it. “When I first came to this job one of my two questions was: ‘Is climate change real?’ – and what job could that have been – ah yes – Energy Minister. Oh dear dear me. And who did she ask about fracking? Was it people with vested interests in the development of fracking? It seems to be the form for this and the last government to listen only to the science that supports the interests of big multinational businesses. “on both of these questions I am now completely persuaded” – but this doesn’t say WHICH WAY! Personally I’m still not sure whether either is right or wrong. I’d like to see fracking seriously tried. I think the present climate change might be due mainly to sun spot variations. Of course I’m only slightly qualified, I have read New Scientist weekly for over 50 years. I have a degree and a Master’s in a scientific subject, these have fed me and my family for around 50 years until my retirement but now my sons both have their 2.1 degrees in scientific subjects and are working in new London companies. The older has an M.Sc. in civil engineering at Loughborough and has also just presented me with a grandson. If you want scientists, breed your own!